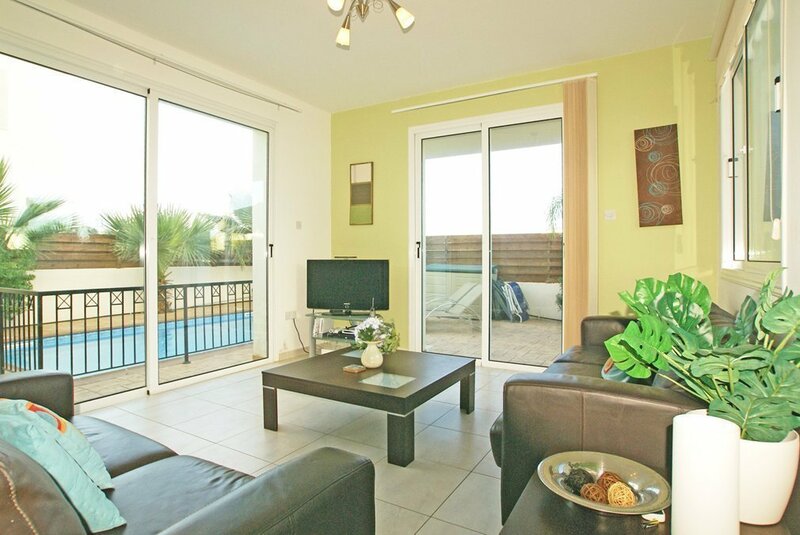 This stunning villa has everything to cater for your needs, whether it is relaxing by the pool, soaking up the glistening sun or putting your feet up indoors and watching TV, satellite TV, DVD player. There are CD player, Wii play console. Villa Protaras is furnished to a very high standards with a touch of class, contemporary decor and furniture to make you feel at home. 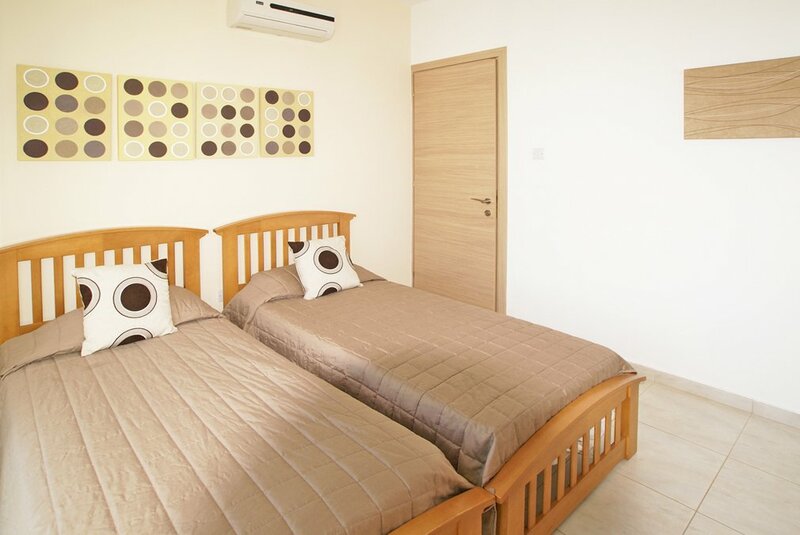 There are also air conditioning/heating throughout and free internet access in all rooms, en-suite shower and master bedroom, private pool with tropical trees and shrubs. There are family bathroom, en-suite toilet/shower room & guest toilet. 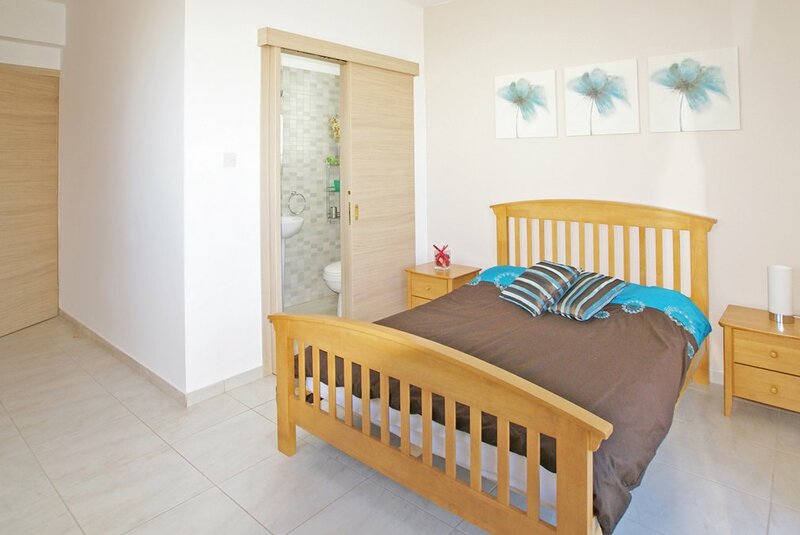 3 bedrooms with 1 double bed & 4 single beds; all bedrooms have built-in wardrobes. 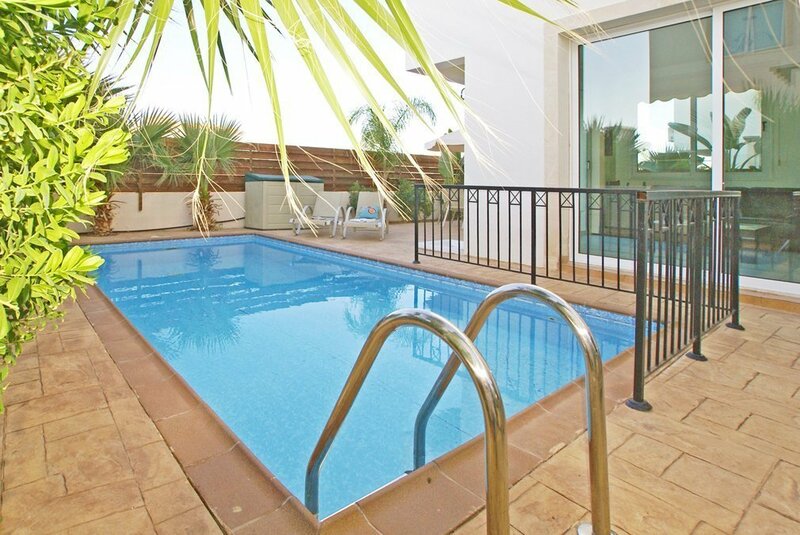 The Villa has its own private swimming pool, and garden patio area with barbecue. 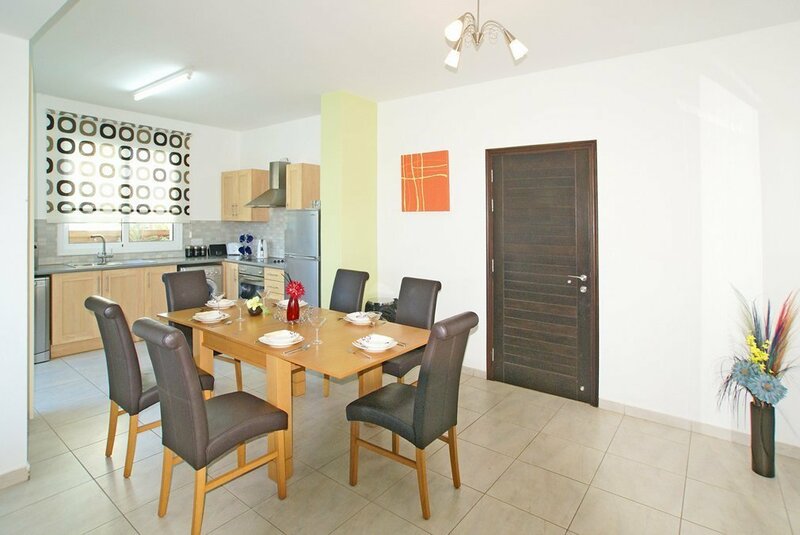 Situated just 500 meters from the sandy Protaras beach. Spacious open plan lounge with TV, satellite, DVD player and dining area with a dining table that comfortably seats six guests. 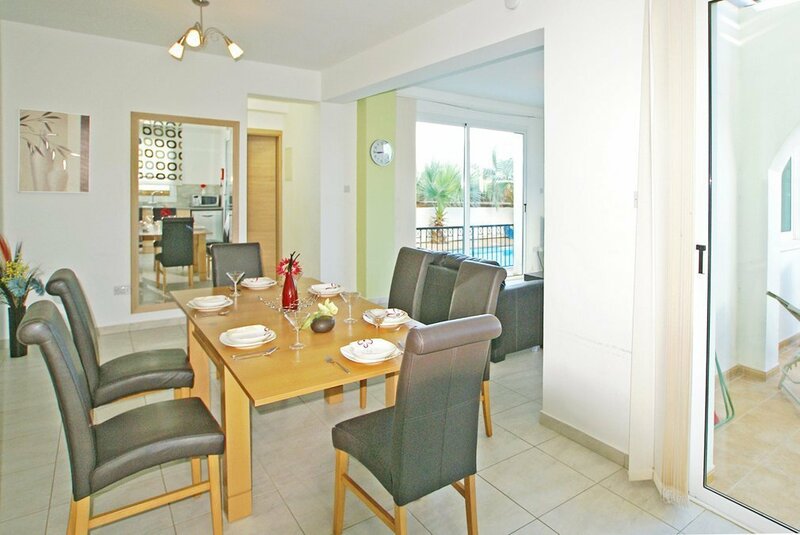 Villa Protaras kitchen is large and open plan with oven, hob, fridge/freezer, washing machine, dishwasher, and microwave. All three bedrooms are upstairs. One with double bed and inbuilt cupboard space, and balcony. 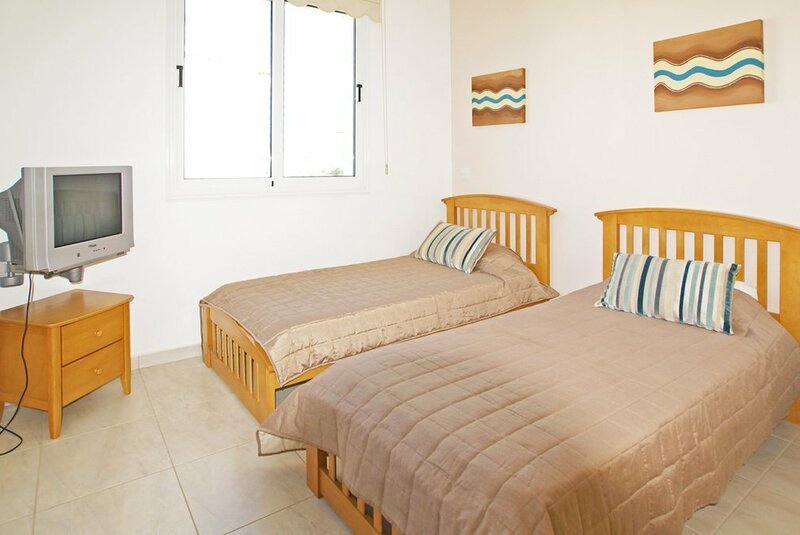 The other two bedrooms are with comfortable twin beds and also plenty of cupboard space. 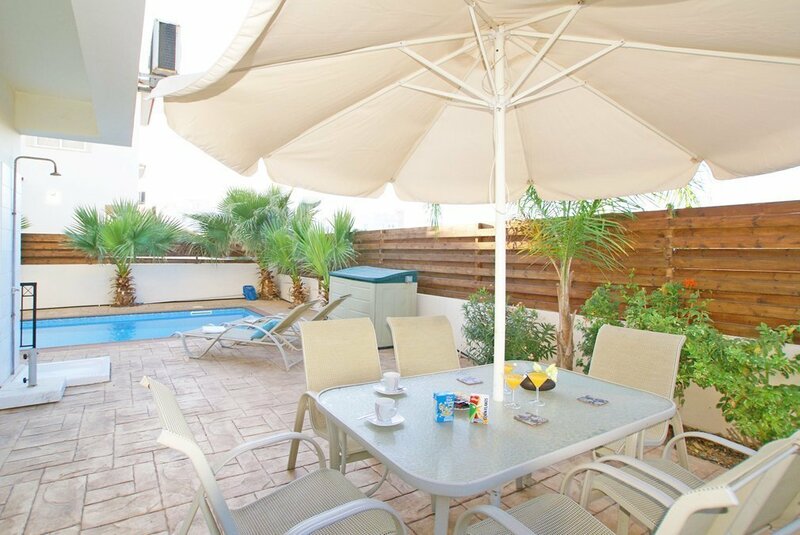 The garden and swimming pool area comes complete with a spotless large private swimming pool with sun loungers and a garden table and chairs. The garden is bordered and fenced, which create a pleasant feeling of seclusion. 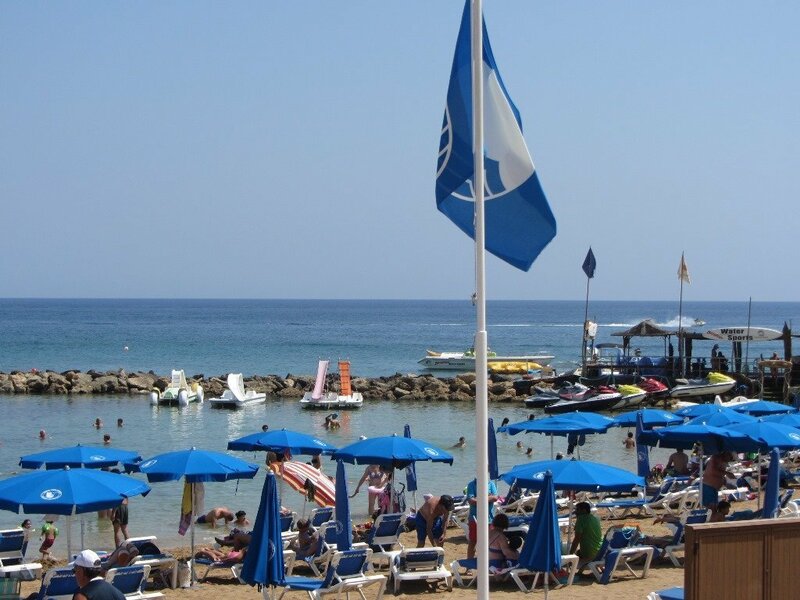 Pernera is a beach resort in Protaras that contains many beautiful beaches. 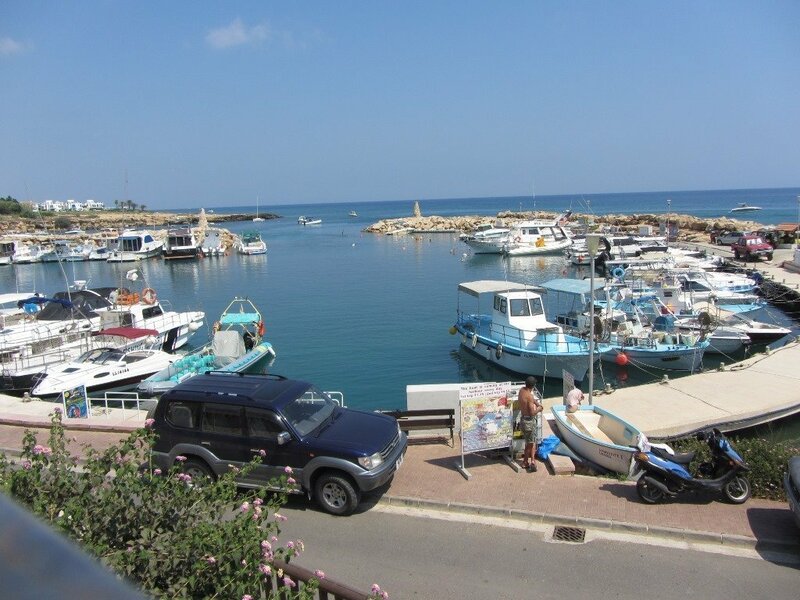 Entering Pernera, to the left of the Paralimni Harbor and Fishing Shack, is a broad open bay containing the two beaches of Golden Coast and Louma Bay, directly opposite each other. 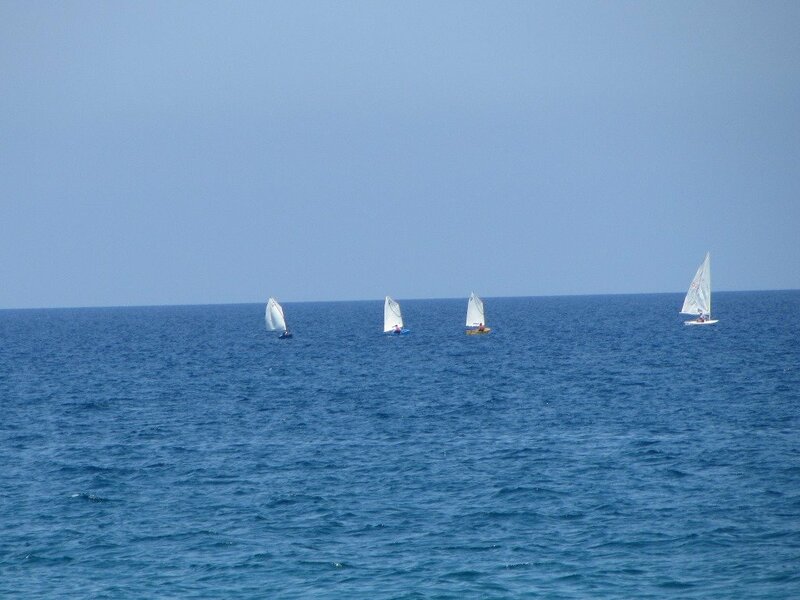 Both are wide spacious beaches with golden sand. 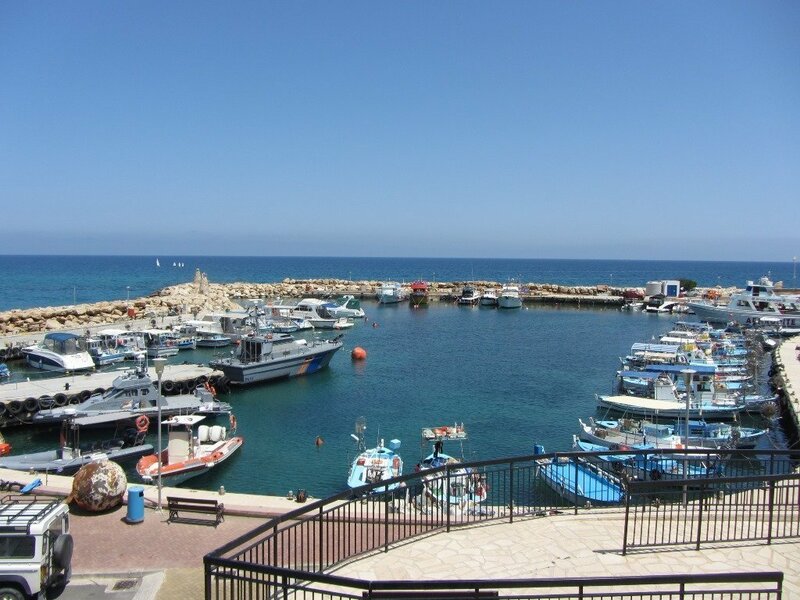 At the Pernera harbor close by all kind of Watersports can be enjoyed like Boat trips, Scuba diving, Fishing, swimming, jet ski and diving. Check the availability calendar below and click the start and end date, see the cost and if you are happy with everything follow the steps to make payment and secure your booking.